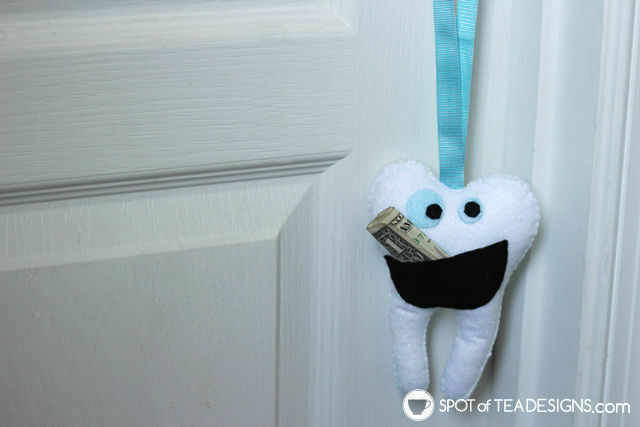 If your child is driving you crazy wiggly that loose tooth on the last thread of gums then it’s time to make plans for the Tooth Fairy! 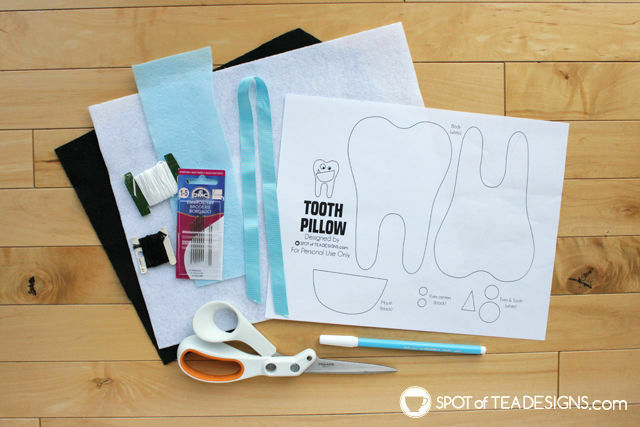 Download the free template, grab your sewing needle and you’ll be on your way to creating a cute Monster Tooth Fairy Pillow for their door. 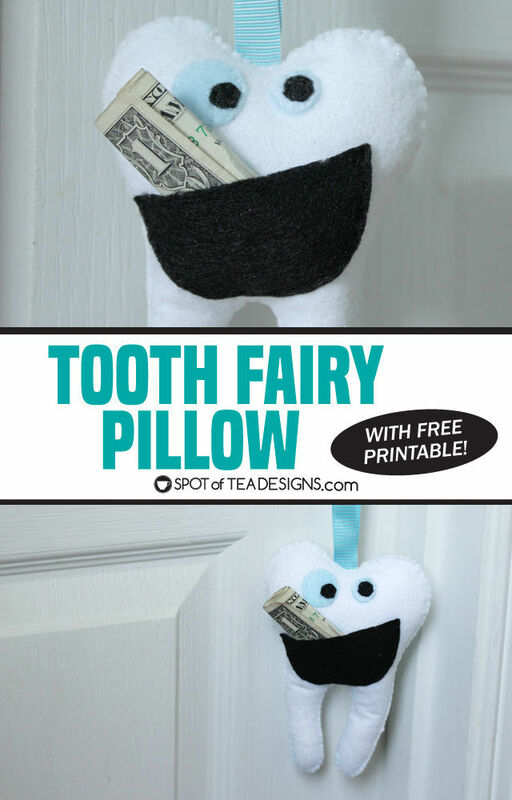 A mouth shaped pocket on the pillow will hold the tooth and be ready to await the gift exchanged. According to the good old internet, kids start losing teeth around age 6. 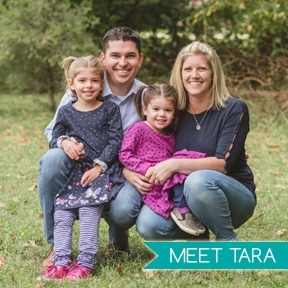 While my girls are a few years off from this toothless milestone, my oldest nephew is right in that zone. To make the moment special, I crafted up a little Monster Tooth Fairy Pillow to be hung by his door so there’s no threat of losing a tooth in bed or waiting a light sleeper when the big event happens. Cut out the template pieces and lay each on the coordinating piece of felt. Trace with water erase pen. 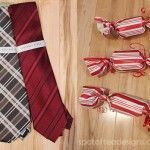 Use scissors to cut out the shapes. Sew the pupils of the eyes onto the blue felt circles with black embroidery thread. 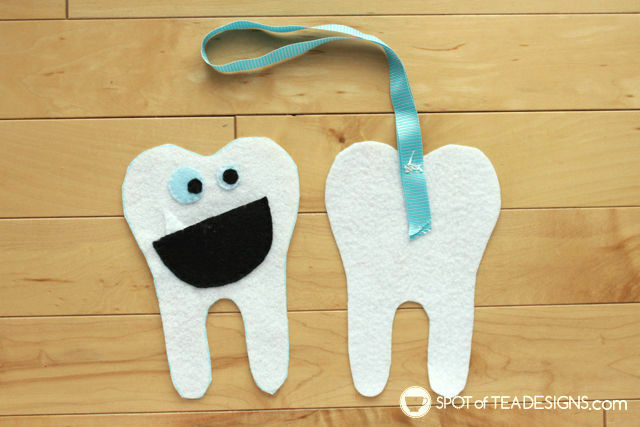 Then sew onto the tooth body. Next, lay the little tooth and mouth onto the body front. First sew the tooth onto the tooth body. 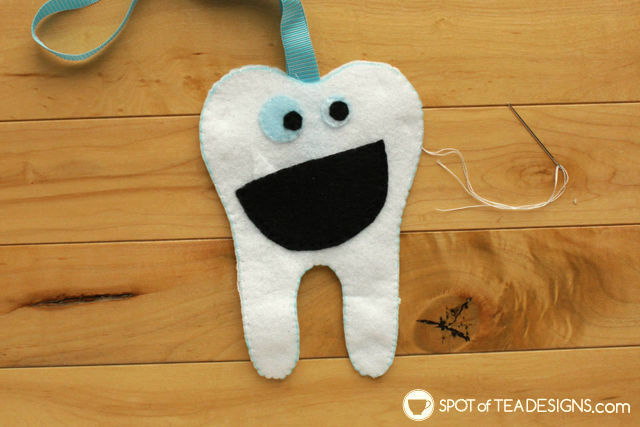 Next, sew only the bottom edge of the mouth onto the body so it becomes a pocket. Make sure to do extra stitches on the top corners for reinforcement. On the other piece of the tooth body, sew the ribbon in place on the WRONG side of the tooth body. 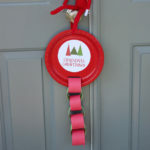 Make sure there is enough ribbon so you’ll be able to hang the pillow on a door knob once complete. Lay the tooth body back to back with the right sides facing out. 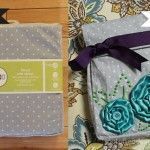 Use pins to secure together and begin using a blanket stitch to sew them together, leaving a two inch gap. Insert stuffing using the eraser end of a pencil to stick it inside and down each tooth canal. Once stuffed to your desire, sew up the hole and you’re done. 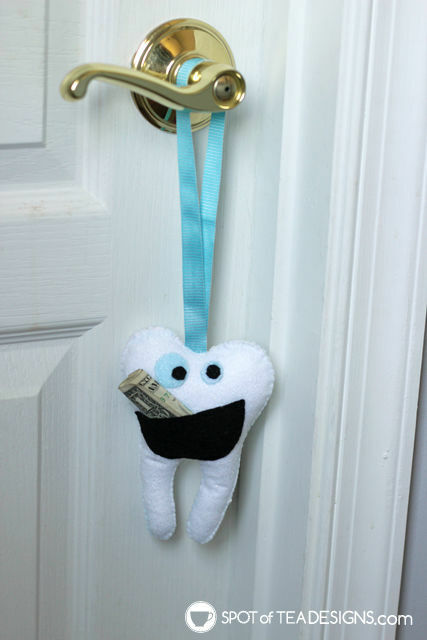 After the child had lost their tooth, insert it in the mouth pocket on the monster pillow and hang it from the bedroom door. 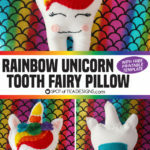 Hopefully when they wake, the tooth fairy will have left them a surprise will be inside the pocket instead of the tooth!